If you followed any of my social media updates earlier in the week, you probably picked up on the fact that my family wasn’t at home. Nope. We were busy exploring family friendly Bowling Green, Kentucky attractions- which happens to be about a tank of gas trip in my minivan. To me, that classifies as an easy weekend getaway for most Ohio residents. This was not our first stop in Bowling Green. Remember when we lived in Alabama? We’d pass through on our way to Ohio and if we got a late start in the day we’d take a break and stop for the night at the La Quinta Inn & Suites, located just off the interstate. 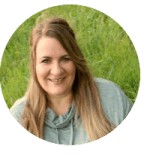 When we set off in our motor home for the very first time, we stopped at the Walmart in Bowling Green to buy a metal clasp because our exhaust was falling off the camper. We took the opportunity to buy some microwave macaroni and cheese and lunch meat and prepared and ate our very first camper meal in the parking lot. Memories. Memories. Well, this trip we were back to make more memories. With a son leaving for boot camp in less than a month, I couldn’t resist one more fun family road trip before my little boy heads off to become a guardsman. Sunday night we arrived at the La Quinta Inn & Suites and it was wonderful, just as I remembered. The clean rooms are large and roomy for my family of five. With two queen size beds and a sleeper sofa, there’s plenty of room for everyone. The only downside is that when we stay in a hotel, my husband always insists that we turn out the lights and go to bed so he can sleep. That’s not an easy feat since everyone else in the family are night owls and he goes to sleep right after dinner. I really need to invent some special ear plugs for that man. 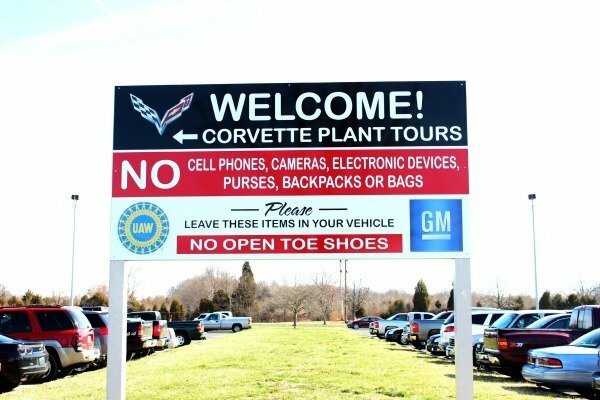 Monday morning we awoke and excitedly got ready to tour the GM Assembly Plant to watch the Union workers assemble Corvette Stingrays. I really thought this would appeal to the men-folk in the house since they’re into hot rods and all. The factory tour requires participants to walk about a mile but I’d add that unless you park in the handicap lot, it could be a pretty good walk from the parking lot to the entrance doors. Make sure you allow yourself plenty of time to figure out where you’re going and don’t arrive five minutes before your tour is scheduled to begin. After the tour we drove to the National Corvette Museum. If you’d not heard of the museum that probably changed in February when a sinkhole swallowed eight of the museums’ prized cars, making international news. The cars are being retrieved one by one and set-up on display through the summer. After a quick look through the museum, we drove to Vette City Antiques, a bargain hunter’s paradise. 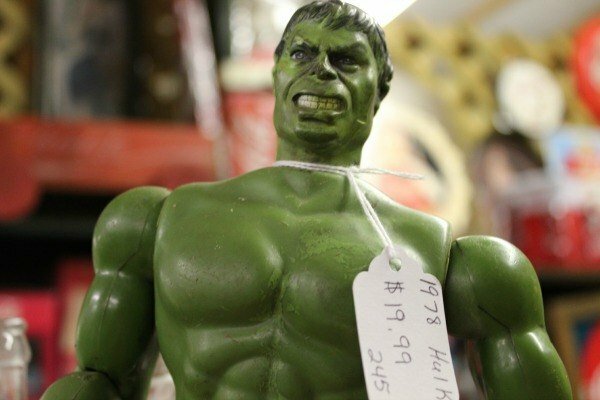 This antique store near the GM Assembly Plant has 250 booths full of knick-knacks, vintage pieces and antiques. 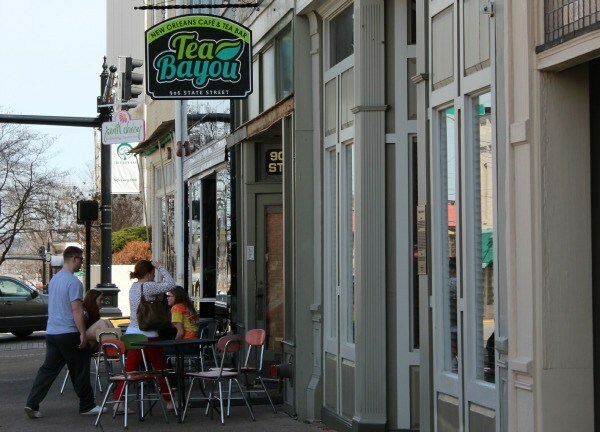 We drove downtown for lunch at Tea Bayou. If you’re near Bowling Green, there’s no need to travel all the way to New Orleans, you’ll get a taste of the Big Easy in this eclectic and artsy restaurant. From beignets, to Po Boys to the traditional Muffaletta, this popular spot can hook up your taste buds with traditional NOLA inspired cuisine. Downtown Bowling Green is charming! 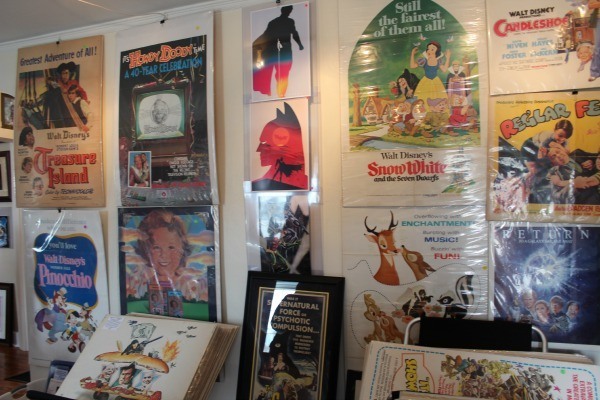 We had a chance to explore it a bit after lunch before heading to Artistic Soul Studio where we were schooled by the owner on the fascinating history of movie posters. If you mistakenly think movie posters are boring, that’s because you haven’t spoken to Leon. An hour later we headed towards the Historic Railpark Train Museum, but not before my son purchased a couple pieces of art. The Historic Railpark Train Museum and L & M Depot was incredible and not just for those who love trains. 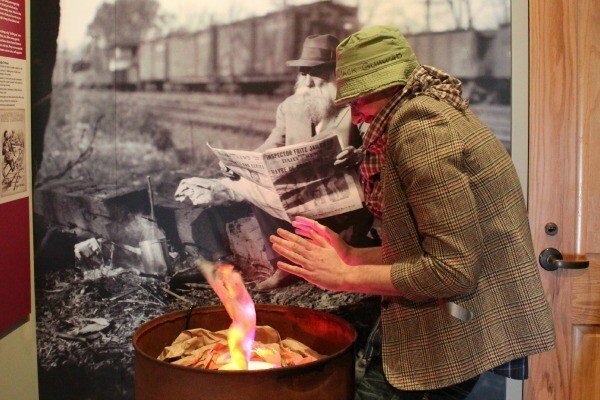 The museum has some wonderful displays but the real gem is the restored rail cars that are open to tours. We’d had a pretty full day so we drove back to the hotel to change before quickly heading out to the Montana Grille so I could feed my starving family. I still can’t get over how delicious our food was. I may need to travel back to Bowling Green just to eat a slice of Firebread. 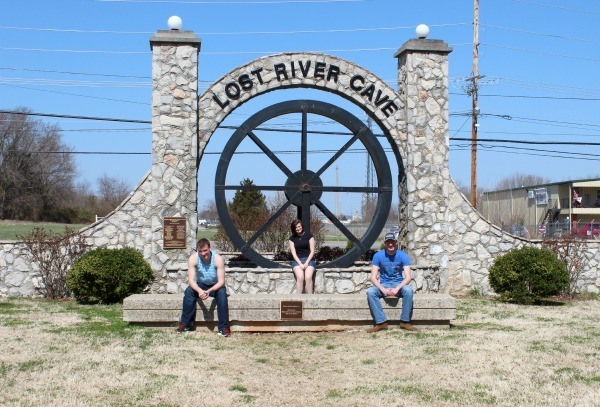 The next morning we started our day at Lost River Cave where we learned about caves, blue holes and tales from the Civil War. Our tour guide was wonderful and the boat tour through the cave on the underground lake was fun and relaxing. After our cave tour I wanted to walk along the nature trails and explore the butterfly habitat but my teenagers were convinced that they were starving once again (I really think all they do is eat). We drove a minute down the road to Lost River Pizza Co. and tried fried pickles for the first time ever! After lunch we drove to the Western Kentucky University Campus so we could learn about Kentucky’s history at the Kentucky Museum. This hidden gem has four floors of galleries plus a log cabin to peek into on the WKU campus just outside the doors. I can’t wait to share more about my family’s trip to Bowling Green so look for more detailed posts in the days to come. Have you been to Bowling Green? Which venue that I’ve mentioned do you think you’d most like to visit? 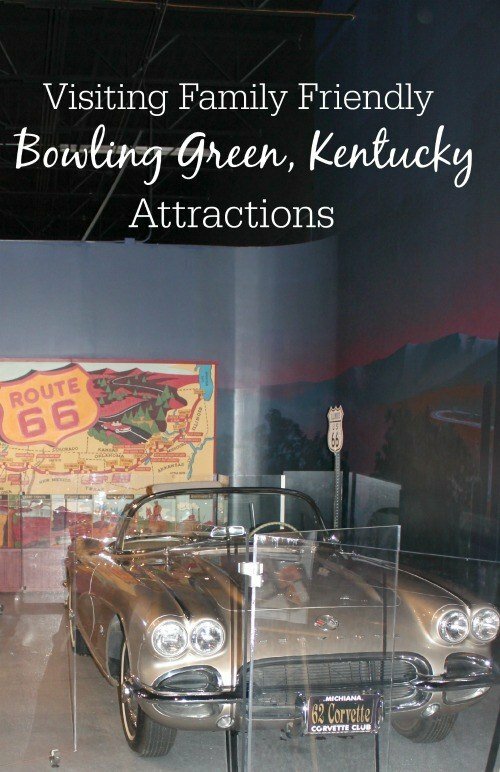 A special thanks to the Bowling Green Convention & Visitor’s Center for inviting my family to visit and explore the Bowling Green, Kentucky attractions. I have not been there. I would love to see it all, but especially the pizza! I went through Bowling Green when I was going to Cave City, KY a couple weeks ago. I had noticed the National Corvette Museum, but was too scared to check it out after the sinkhole incident. ~lol~ It looks like they have some pretty cool cars, though. Also, that pizza looks absolutely delish! I shouldn’t look at other blogs when I am hungry. It looks like the trip was a blast but all I am thinking about is that pizza. I hadn’t really known much about Bowling Green before now. Sounds like a neat town! Great list, I’m going to have to check these out! If we visit I know the Corvette Co and that pizza place are definitely going to see us more than once!! I keep coming back to this post missing Kentucky so much! Never thought I would miss that state. I know exactly what you mean! I didn’t miss Ohio either, until we moved. How fun! We’ve never actually stopped in Kentucky, we just drive right through. I didn’t know there were so many fun things to do. I have never been to Kentucky. My dad went to Moorehead and used to drive back and forth from NY. One day, we’ll add this to our list of places visited. Sounds like a lot of great memories for you. I have never been to Kentucky but hope to see it one day. Seeing the corvettes would be on the top of my list. I have to say I am slightly jealous that you get to travel the world discovering beautiful places. One of the items on my bucket list is a food crawl all around the U.S. I live in Louisville, Ky and haven’t visited Bowling Green to check out sites before. I will need to make a day trip now! 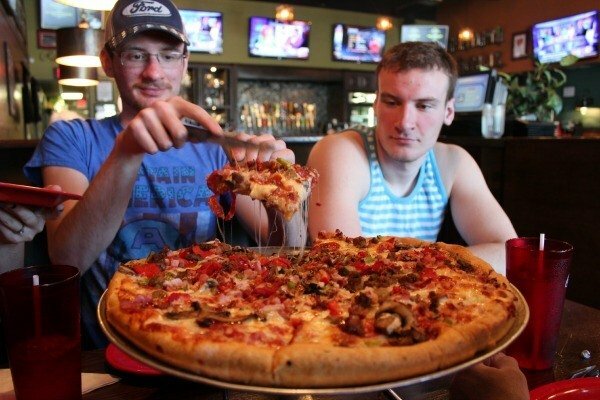 Wow looks like a lot of fun sites and that pizza looks yummy too! I’m about 3.5 hours away from Bowling Green and had a cousin living there for a few years, but never have been there. I think I need to make a visit, though. Didn’t know they had all this there! I’ve never been to Kentucky, period – looks like you saw a lot of interesting and memorable sites! What a fun time! I’ve been to the Corvette museum twice, but not since I’ve been married. I’m so glad they’re getting the cars out of the sinkhole. That was nuts! What a great little getaway with fun activities. I’ve been through the area but haven’t explored it. Looks like a great place to go to catch some history. Fun times! I LOVE BG!! Used to go visit regularly when we were stationed in KY.
What about the horses of Kentucky? I heard that Bowling Green has lots of horses? Of course, I have not yet visited Bowling Green, so what do I know? If you want to see horses in Kentucky, you must visit the Lexington area. It’s beautiful. Lots of horse farms, plus the Kentucky Horse Park is there. It’s been quite a few years since my family visited, but I remember it being very well done and interesting (even though horses aren’t necessarily our thing). The exhibits were nice, my kids were able to ride a horse and we were able to watch some type of competition (can’t remember which one it was now) in the on-site arena. Just a word of caution, the campground was a bit noisy so I wouldn’t recommend camping but I’m kind of thinking you’d skip that anyway. 🙂 The camping wasn’t very luxuriuos. And it was loud (think 4-wheelers at all hours of the night). Worst sleep ever. 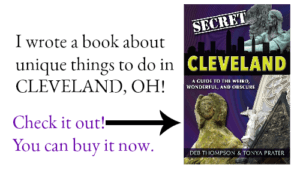 Wow – I had no idea Bowling Green had so many great things to do. I think my boys would love the train depot and caves. 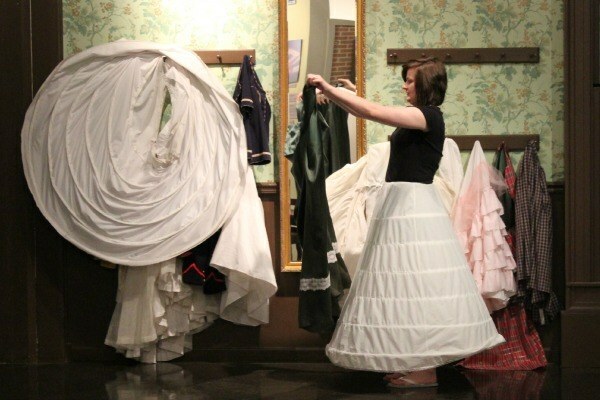 I think I would really enjoy the Kentucky Museum. Will put in folder for that coast to coast road trip we will take some day. 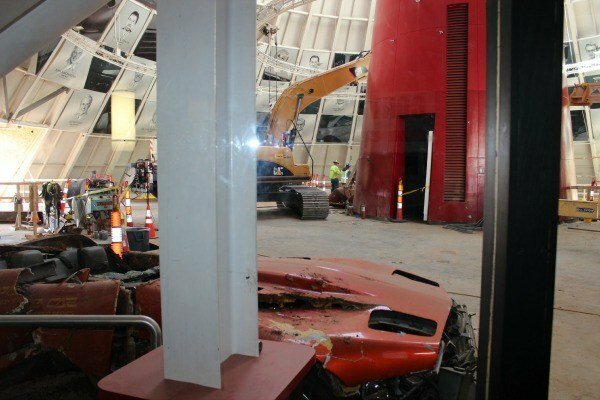 You’re right I had not known about the Corvette Museum until the sinkhole happened! I had no idea that the cars would be salvageable. Do you know if they are going to try and restore them again, or are they pretty much lost causes as far as that goes? Honestly I think it would be kind of neat to see them…after they came out of the sinkhole 🙂 My husband would enjoy going through the Corvette factory tour and I think my favorite thing would be to go through the Kentucky Museum. What an extraordinary place! I had no idea that there was this much cool stuff to explore!